Professional fit motorcycle handlebar mount with IPX4 waterproof tough case & Hella / DIN / BMW style charging cable for the Samsung Galaxy S5 phone. IPX4 Waterproof tough case - protects in light rain showers & damp weather. Headphone access (headphones not included). Access to camera / video. Locking mechanism top and side with additional seal clips. External button access to major function points. The PRO handlebar mount - fits bar diameter 19-35mm (0.75"-1.38"). Secure twin screw fitting - screwdriver required. Requires a minimum clear space of 42mm (1.66") on your handlebars for fitting. Simple to attach & remove. 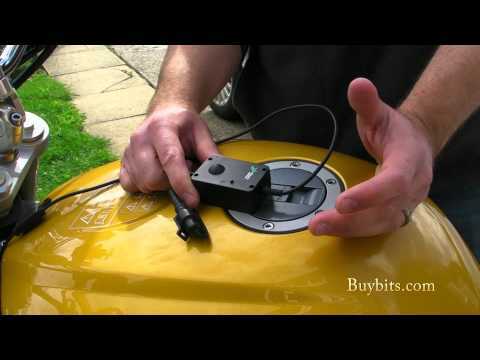 360º adjustment - ideal for map or satnav applications. 2 x rubber liners protect handlebars & reduce vibration. Hella / DIN charger - Galaxy S5 charging connector - specially designed to fit the Ultimate Addons waterproof S5 tough case. Input Voltage: DC 12-24V / Maximum: 16A. Overall length approx 0.9m (35.5"). Note: The video is an example of the mount style and will not show the cradle / device. When fitting the case to the mount you must ensure you engage the three prong attachment system, firmly pushing together until it clicks. Some force will be required. If in doubt view fitting video. PRO handlebar mount - fits bar diameter 19-35mm. Secure twin screw fitting - screwdriver required. 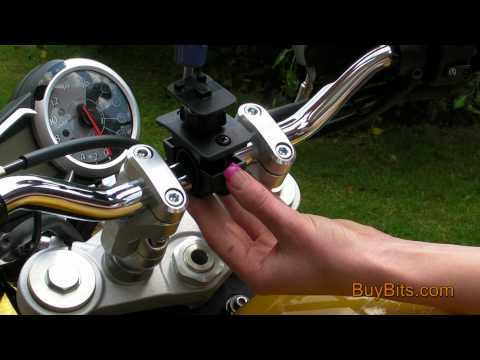 Requires a minimum clear space of 42mm on your handlebars for fitting. What's included? 1 x Galaxy S5 tough case, 1 x pro handlebar mount, 1 x DIN / hella charging cable.